An excellent headlamp for runners – with Reactive Light Technology for extended battery life. The PETZL TIKKA RXP is the second headlamp (headtorch) I’m reviewing for the night running crowd. The first was the FENIX HP25 found here. See all our headlamp reviews here in our Headlamp Playlist >. This headlamp is considerably advanced compared to the Fenix headlamp. 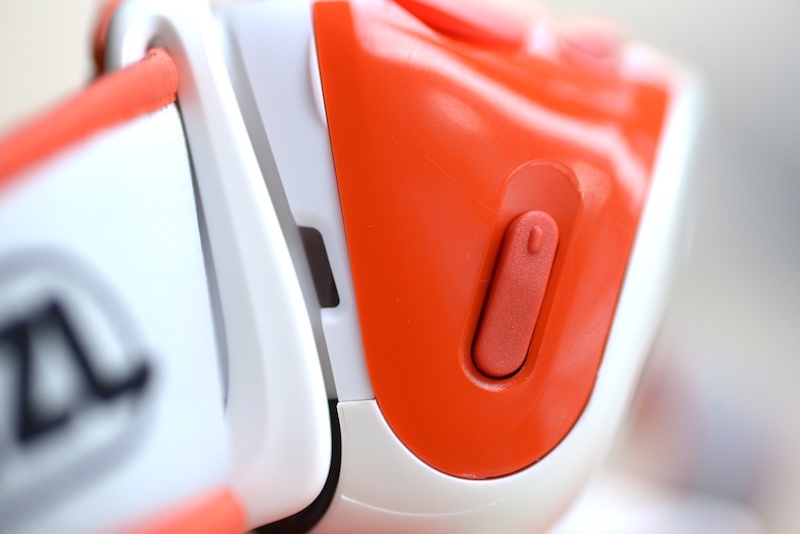 The first feature that stands out is the comfort of the device worn on the head. The straps are soft, the plastic guides that hold the strap are contoured to feel better on the head – and they certainly do. There is thicker padding in the strap at the forehead where the bulk of the weight lays for this headlamp. All these serve to make the PETZL TIKKA RXP quite comfortable and easy to wear for long duration – hours, and days at a time. Article Focus: IS THE PETZL TIKKA RXP GOOD FOR RUNNERS? Very lightweight at 115 grams with the rechargeable Lithium-ion battery. Reactive Lighting Technology (RLT) works well for non-technical trails and for street running. Battery drain with RLT does very well, giving usable light for around 5 hours for most terrain. Extra battery packs available (<$30), or convert into AAA headlamp with fixture (< $20). Reasonably priced ($74 to $90 USD). Not for running very fast on RLT – especially on technical trail. Slips down my head as I run, unless the strap is very tight – and then, not comfortable. Buttons are not easy to feel when running, or even stationary. Downloadable software for Mac OS doesn’t work without Adobe Air (huge program with no real benefit, other than making this PETZL program work). Should probably have balanced battery in the back of strap, and lights in front. No top of head strap makes headlamp fall down the forehead. Reserve power – while a nice thought, is poorly implemented as it is too weak to really help, and only lasts 1 hour. Beam type selector. Choose Reactive Lighting Technology (RLT), Manual, or Red Light. Beam angle adjustment ranges nearly 180 degrees. Top of unit shows USB charging port under plastic flap, heat sink, and power and beam brightness level adjustment (for manual). Small heat sink on top of unit. Bottom heat sink to dissipate heat from the intensely bright PETZL bulbs. Strap is swimmer’s goggle style, and does not provide any top of head support – meaning, the headlamp will move on your forehead during your running unless perfectly adjusted. WHAT IS THE PRICE OF THIS HEADLAMP? Less than $100 right now for the Coral colored light plus shipping. and the black colored unit is even cheaper. Where is it made? Started in France by Fernand Petzl. Then made in Malaysia. Now made in Bulgaria. Rechargeable Battery – 1 year. SO, IS THE PETZL TIKKA WATERPROOF? Sort of. It is splash-proof. The test duration was 5 minutes with 10 liters of water per minute at 50-150 kPa pressure. WHAT IS THE MAX LUMENS? 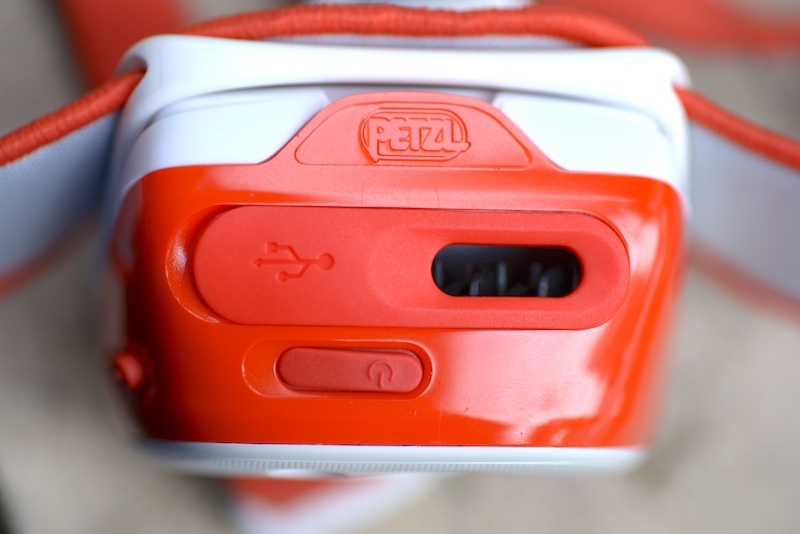 WHAT IS PETZL’s PROPRIETARY REACTIVE LIGHTING TECHNOLOGY? The headlamp automatically adjusts the beam strength and profile, based on what you’re looking at – to conserve battery, but also gives you “smart” technology which adjusts the beam to what you’re doing so you don’t need to think about it. WHAT TYPE ARE THE LED’S? WHICH TECHNOLOGY IS USED IN THE BATTERY? Lithium Ion. Rechargeable. ANOTHER OPTION – Replaceable ($30 for extra battery). 1800 mAh. WHAT MATERIAL IS THE LIGHT AND BATTERY PACK MADE WITH? IS THERE A RUBBER GASKET AROUND THE BATTERY COMPARTMENT TO SEAL IT FROM WATER? No. 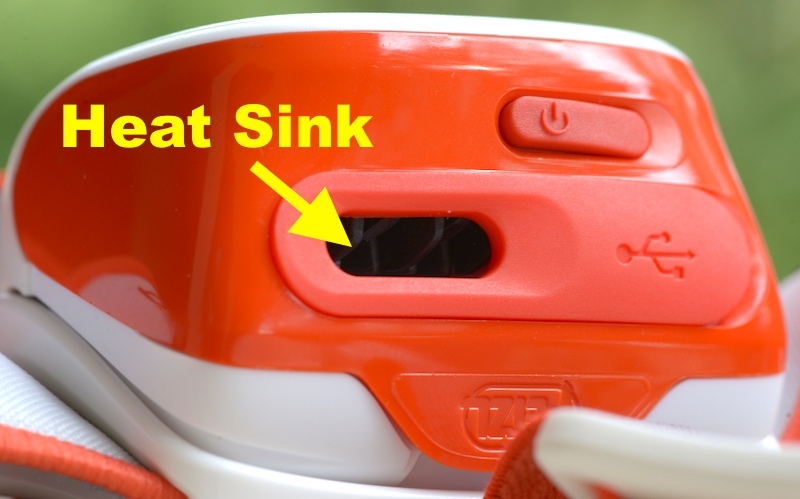 There is a seal around the electronic contacts where the battery meets the headlamp. The battery is solid plastic otherwise and sealed from water. ARE THE STRAPS ON THE PETZL TIKKA RXP ELASTIC? Yes, but not in the area which holds the headlamp. Yes, very comfortable considering the headlamp is so lightweight. HOW MANY LIGHT COMBINATIONS ARE POSSIBLE? In RLT there is a wide range of levels the light can adjust to – not infinite, but very high number of combinations. In manual setting, there is Low flood, Med flood + Low Spot, and High Spot + High Flood. There is also a red-light (infrared mode) which is either on, or blinking. DOES THE PETZL TIKKA REMEMBER THE LAST BRIGHTNESS SETTING? HOW LONG WILL THE PETZL TIKKA LAST AT FULL BATTERY POWER IN MANUAL SETTING? HOW LONG WILL IT LAST AT THE WEAKEST REACTIVE LIGHTING SETTING? At 80 lumens the light will last a minimum of 10 hours and give light from 0-70 meters. HOW LONG WILL IT LAST AT THE STRONGEST REACTIVE LIGHTING SETTING? IS THERE A RESERVE MODE? Yes, it will last one hour and give you 25 lumens of brightness for an emergency. DOES THE HEADLAMP FEEL HEAVY ON THE HEAD? No, not at all, and probably not even after 10 hours of wearing it. it. HOW MANY TILT LEVELS DOES THE LIGHT HAVE? DOES THE BATTERY PACK GET HOT DURING USE? DO THE LIGHTS GET HOT DURING USE? Yes. Be careful with your fingers around the bulbs. IS THE PETZL TIKKA GOOD FOR RUNNING? Very good for running at night until it starts raining. The water rating on this headlamp is rather weak and you wouldn’t want to trust it as your only option on a long hike or trail run. IS THE PETZL GOOD FOR HIKING? 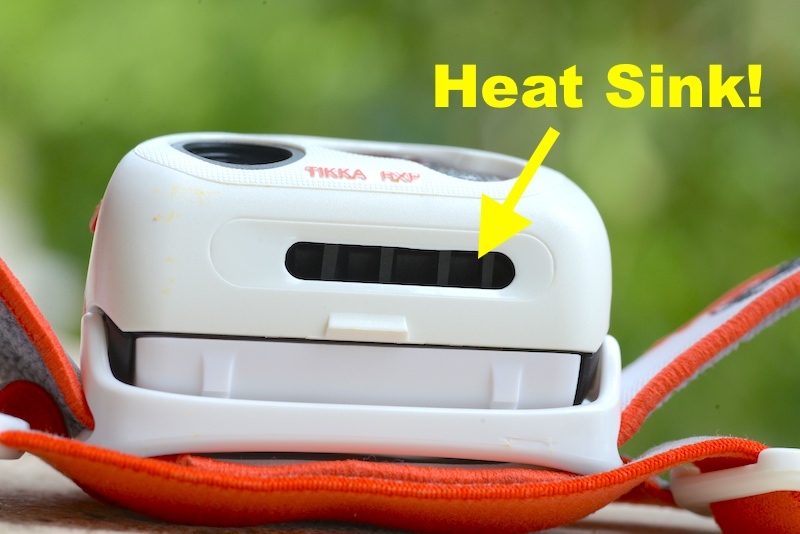 Yes, very good for hiking but if you’re going to be using it at night a lot, you will probably want to either get the additional AAA battery insert, or an extra rechargeable lithium-ion battery or two. Upgrade to Petzl Tikka RXP is now out… it is the PETZL REACTIK+. Strongly recommended. If you’re in the market for a higher-end headlamp, we have a group of 4 or so that we are recommending at our NEW SITE. Don’t Miss “Best Headlamps 2018” – a massive guide for buyers to help you choose the right headlamp for whatever your activity.